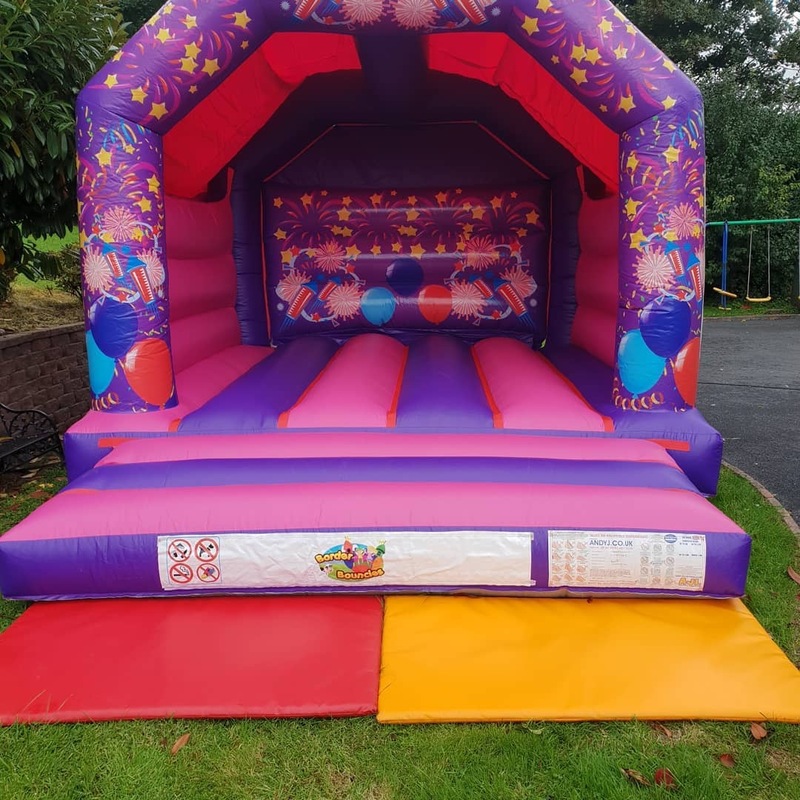 This standard sized castle comes with brightly lit purple and pink colours and firework art. Plenty of fun and hours of entertainment for the kids. Comes complete with built in rain cover. Suitable for indoor use: Yes. Please make sure to measure for ceiling height and ample space allowed at front back and sides of the castle. A 240v mains power supply of electricity is needed to provide power for the blowers of the inflatables. (standard household socket) please make sure this can be easily accessed. 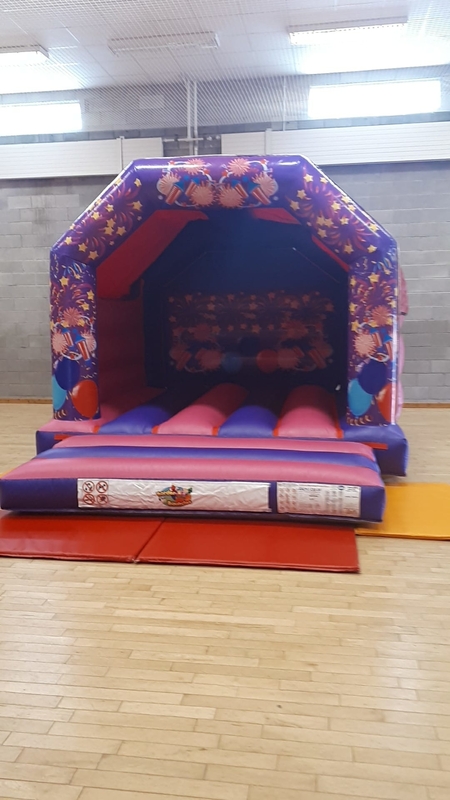 If you require the inflatable overnight there is an extra £35 charge.